Along with Lewis Black, Brian Regan and Jim Gaffigan, she's one of the funniest stand-up comedians of her generation. 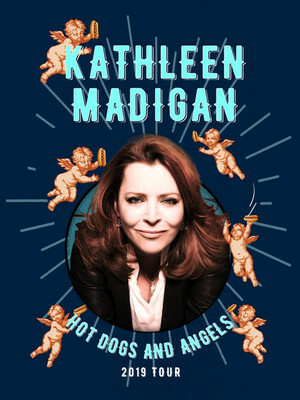 The Angels and Hot Dogs tour! Described by comedy peer Lewis Black as the "funniest woman in America", the winner of the American Comedy Award for Best Female Comedian is a triple threat; as well as her sell-out tours, Madigan is a favorite on late night talk shows and nationally-syndicated radio shows. With an enviable career spanning nearly 30 years on the comedy circuit, she has the distinction of being one of few comics to appear on every major late night show including Leno, Letterman, Conan and Ferguson. A wise-cracking, unpretentious observant of everyday life, the diminiative, witty Missouri native is a towering presence on the comedy scene, covering every subject from over-inflated celebrity, pompous politicians, her chaotic family and even that random wacko in the airport lounge. Sound good to you? 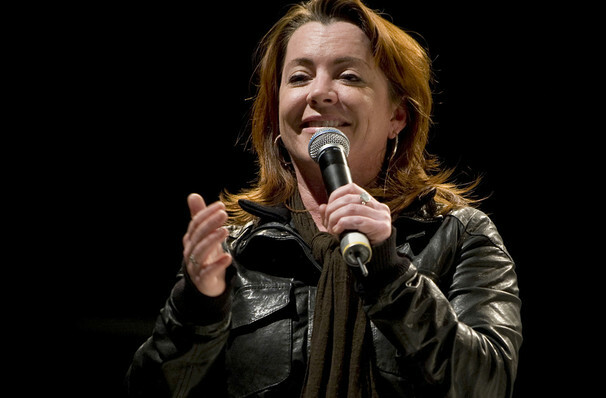 Share this page on social media and let your friends know about Kathleen Madigan at Arvest Bank Theatre at The Midland. Please note: The term Arvest Bank Theatre at The Midland and/or Kathleen Madigan as well as all associated graphics, logos, and/or other trademarks, tradenames or copyrights are the property of the Arvest Bank Theatre at The Midland and/or Kathleen Madigan and are used herein for factual descriptive purposes only. We are in no way associated with or authorized by the Arvest Bank Theatre at The Midland and/or Kathleen Madigan and neither that entity nor any of its affiliates have licensed or endorsed us to sell tickets, goods and or services in conjunction with their events.